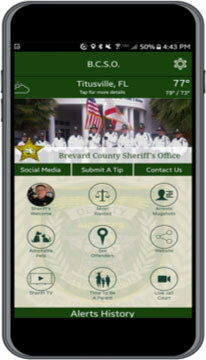 The Civil Office within the Brevard County Sheriff’s Office is part of the Judicial Process Unit. Judicial Process is comprised of Criminal Warrants, Civil, Validations and Teletype. The Civil Unit has three offices, one main and two satellite offices. What are the Sheriff’s Fees for Service? What if I can’t pay the Sheriff’s Fees of Service? Where can I obtain legal forms and information for filing a civil court case? What can I do if my landlord and I are involved in a dispute? Why can it take so long to get my Civil paper served? Can I get a refund for process that has not been served? Do I need to pay for another service attempt on process that was not served by the Sheriff’s Civil Office? Why was my paperwork returned without an attempt at service? Why can’t the Sheriff’s Office post my 5/20-Day Eviction Summons? Why does it take more than 24 hours to complete a Writ of Possession? How do I have legal papers served on a person or business outside of Brevard County? What is the Sheriff’s Levy Procedure and what are the requirements? I received a letter in the mail advising I have to pickup a summons within 10 days or a warrant will be issued for my arrest. Can someone else pick this up for me? What will happen when I come to pickup a criminal summons? 1. What is your address and telephone number? Main Office – 700 S. Park Ave., Titusville, Fl 32780 Px (321) 264-5207. 2. What are your office hours of operation? The Civil Office’s are open Monday through Friday from 8:00 a.m. until 5:00 p.m. The East Precinct and South Precinct Offices are closed from 12:00 until 1:00 p.m. for lunch. 3. What are the Sheriff’s Fees for service? Please click here for more informaton. 4. What if I can’t pay the Sheriff’s Fees for service? The Clerk of Court may prepare a “Certificate of Indigency” to waive sheriff’s fees. 5. Where can I obtain legal forms and information for filing a civil court case? Go to the Brevard County Clerk of Court www.BrevardClerk.us and look under forms or go in person to the Clerk of the Courts Office. 6. How do I evict someone? You can obtain an eviction packet from the Brevard County Clerk of the Court and it will explain the process for Eviction. You can obtain this information on-line at www.BrevardClerk.us or you can go in person to any of the Brevard County Clerk of Court Offices. 7. What can I do if my landlord and I are involved in a dispute? The Sheriff’s Office cannot intervene on either party’s behalf unless a threat of violence has occurred or a crime has been committed against the involved parties. Referral information is available through the Landlord Tenant Citizen Dispute Program at 1-800-352-9832 (1-800-HELP-FLA) or www.800helpfla.com, Landlord / Tenant Law. 8. Why can it take so long to get my civil paper served? Inadequate or incomplete address information. Not supplying an employment address and a telephone number. No information for return of service. No contact telephone number for you provided on Writs of Possession. Delivery of Paperwork to a satellite office or main office and paperwork has to travel between offices. 9. How will I know when my process has been “served” or “not served”? Once the process has been “served” or “not served”, a return of service is mailed to the plaintiff /the plaintiff’s attorney at the address provided. The plaintiff can also call Judicial Process at (321) 264-5207 to request a service check to obtain the status of the process. 10. Can I get a refund for process that has not been served? Per Florida Statute 30.231 all fees collected shall be nonrefundable and shall be earned when each original request or service of process is made. 11. Do I need to pay for another service attempt on process that was a “not served” by the Brevard County Sheriff’s Civil Office? 12. Why was my paperwork returned without an attempt at service? Received in this office with insufficient time for service. Insufficient copies for service. Service copy must be provided by the individual requesting service. Service address is not located in Brevard County. Physical service address must be provided. Court Seal is missing. Clerk has not signed or initialed, Original signature is missing. Alias/Pluries must be issued. Re-file original with appropriate Clerk of the Courts office. 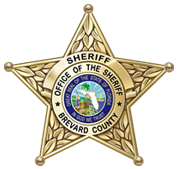 Sheriff’s non-refundable fee to be paid in advance per Florida Statute 30.231. Business check or money order must be payable to Brevard County Sheriff in the exact amount. Cost Deposit not submitted or not correct amount. 13. Why can’t the Sheriff’s Office post my 5/20-Day Eviction Summons? This type of civil summons requires personal service by Florida State Statute and can lead to service delays if filed together. The landlord or agent can separate these actions, which in return can speed up the eviction process by allowing the 5-Day Eviction Summons to be posted after two (2) separate attempts within a 6-hour time frame. 14. Why does it take more than 24 hours to complete a Writ of Possession? According to Florida Rules of Procedure and State Statute you cannot count the date of service or weekends and holidays in the 24-hour time calculation. The Sheriff’s Office does not serve on weekends or legal holidays. If the Deputy is having difficultly contacting you, this will delay the process. 15. How do I have legal papers served on a person or business outside of Brevard County? You should contact the Sheriff’s Office within the county and state where the person or business reside so they can be served. The Clerk’s office within that county may also be able to assist you. 16. What is the Sheriff’s Levy Procedure and what are the requirements? Cost Deposit. These fees vary depending on what you are taking, please call. Personal Property: Office Furnishings; Businesses: Price To Be Determined On Quantity Of Items Being Levied. An Inventory List Will Need To Be Seen Before An Amount Is Determined. 17. I received a letter in the mail advising I have to pickup a summons within 10 days or a warrant will be issued for my arrest. Can someone else pick this up for me? No. Only the person named on the summons or their Attorney can pickup this summons. 18. What will happen when I come to pickup a summons? When you come to the Sheriff’s Office to pickup your summons, you will be asked for Identification. The Tech will then locate your summons and assign you a court date.